RBTH spoke to Richard Lavin, Group President and Chairman of machine manufacturer Caterpillar, about his impressions from the APEC CEO summit and plans for investing in Russia. 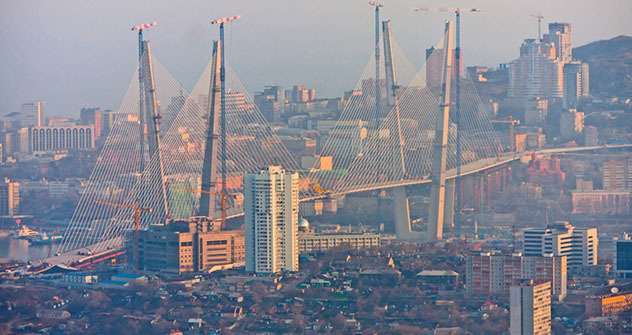 Russia Beyond the Headlines: Why is Russia an important country for Caterpillar? Richard Lavin: Russia has been a very important country for Caterpillar for many years. We’ve been doing business here for over four decades. We’ve invested over the last 12-15 years over $1 billion. We’re doing that because the opportunity is great for our products here. At the same time we’re very optimistic about the growth prospects for Russia. My optimism coming out of these meetings is even greater having heard President Putin’s remarks last night and having had the opportunity to be in a group that had dinner with him last evening. He was talking about investment in infrastructure and the overall growth and development of the economy. So there’s going to be a tremendous demand for the types of products we manufacture and sell. RBTH: Why did you choose to be a Platinum sponsor of this year’s APEC CEO summit? R.L. : Asia-Pacific is a critically important market for us. A significant percentage of Caterpillar’s overall business is based in the Asia-Pacific region. We really want to be a part of APEC and ABAC (APEC Business Advisory Council) to make sure we’re providing our thinking, our resources regarding the development of the economies here. The fact that we’re a Platinum sponsor really calls out how important we see the Asia-Pacific region. RBTH: Have you found the summit to be productive? R.L. : Overall it’s been very productive. I was a part of a few break-out sessions; I was a part of a panel that presented on infrastructure development, especially in the Russian Far East. I headed the infrastructure development working group for ABAC to gather an agenda of issues that we gave to APEC to create the framework for moving ahead with infrastructure development in the region. I know that APEC sometimes gets criticism for being nothing more than a talk fest. I think the difference here is that ABAC helps establish an agenda of issues that are of critical importance to the participating economies. That, in turn, forms the agenda for APEC in part. It may be a typical government-based organization in some respects because it’s very deliberative and very purposeful and perhaps it doesn’t “move at the speed of business” all the time. But things get done in this group and we’re pleased to be a part of it. Absolutely. The Trans-Pacific Partnership (TPP) is an important part of ultimately breaking down trade barriers across the Asia-Pacific region. Caterpillar is very supportive of free trade globally. It’s a big part of what we at Caterpillar are all about and I think APEC is playing a big role in moving that forward. I came away with the impression that the future of the Far East will largely be based on realizing big projects like building railways, highways, pipelines, ports, grain silos, etc. Does this mean Caterpillar will play a larger role in Russia’s Far East? Our sweet spot is infrastructure construction. We want to be involved in building the bridges, roads, ports and everything else that’s going to be going on in the Russian Far East in the coming five, 10, 20 years. One of the points I made during our panel yesterday (I had the opportunity to offer this to President Putin) is that it’s very important for Russia to be pro-active in investing in infrastructure because it creates the confidence on the part of potential investors like Caterpillar to continue to invest in Russia. It’s absolutely essential as far as the effectiveness of our investments is concerned to have effective transportation and logistics. I think that China has done a very good job of proactively investing infrastructure over the last 15 years. And you see new manufacturing facilities springing up around the infrastructure. I think that’s what Russia has in mind for distant regions like the Far East. RBTH: Are you confident that Putin understood that message? Will it happen in Russia’s Far East? R.L. : I think so. I had the opportunity to talk in our panel about some of the plans that are being developed to drive infrastructure in Russia’s Far East. RBTH: Are you planning on expanding your investment in Russia? In the Far East? R.L. : We already assemble hydraulic excavators, mining trucks and truck bodies in Russia. We’re looking at possible additional investment or expansion of existing facilities as the market in Russia dictates. We don’t have any specific plans for the Far East right now. But given the growing importance of this part of Russia and the need for infrastructure, it’s something we’ll take a close look at going forward.